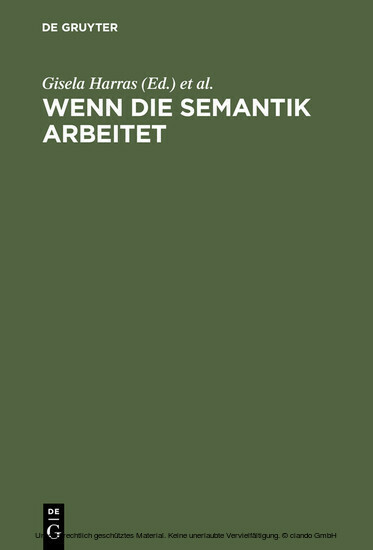 This volume, compiled to honour Klaus Baumgärtner on his 65th birthday, assembles 15 articles on present-day problems of (lexical) semantics. Their main focus is on the links between syntax and semantics, the problem of a representational as opposed to a dynamic conception of meaning, and the question of the conceptual foundations of semantics. The studies themselves examine a broad range of phenomena - from prepositions, temporal conjunctions, verbs and their argument structure to the way semantics relates to the textual plane.